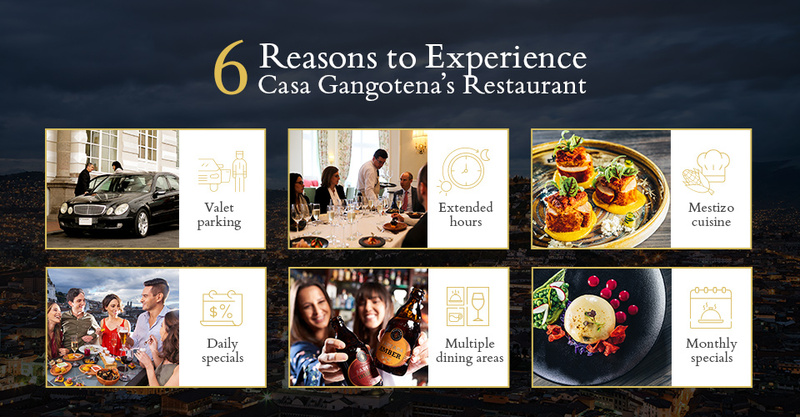 Why dine at Casa Gangotena’s Restaurant? 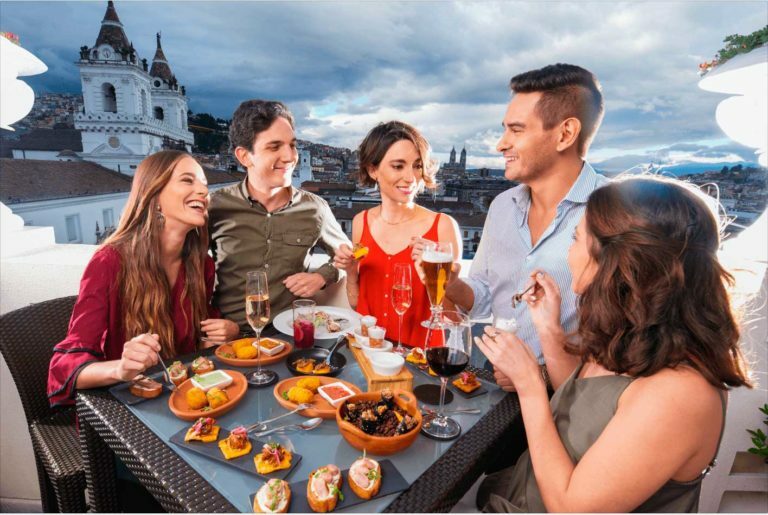 Situated in San Francisco Plaza, Casa Gangotena’s Restaurant offers a unique experience of Quito and the cultural diversity of Ecuador, offered in each dish. Its concept, cocina mestiza (or mestizo cuisine), is a tribute to the combination of cultures that comprise Ecuador. And while it is also the star of the restaurant, its elegant setting and services offer even more reasons to visit and dine within. Quito is not a particularly “late-night” kind of town, and restaurant hours throughout the city reflect this. Casa Gangotena’s Restaurant, however, offers an alternative on cold Andean nights, especially on Sundays, when virtually every other establishment shuts down, without fail. It is a schedule that welcomes you, whether early bird or night owl; breakfast begins at 7 a.m. and dinner extends to 10 p.m. Both morning and night are ideal times to enjoy the charming atmosphere inside, while the rolling fog takes over the surrounding streets. San Francisco Plaza, as well as the Historic Center of Quito, are some of the most visited and transited places in the city. Beautiful narrow streets line the Historic Center; however, these can make getting around in a vehicle, not to mention parking, rather difficult. Enter: Valet Parking at Casa Gangotena. This is one of the most convenient and comfortable features offered to those who wish to dine at the restaurant. An easy, stress-free, and safe parking experience guarantees diners plenty of time and space to enjoy their meal without having to deal with parking in the Historic Center. Casa Gangotena’s Restaurant is a gastronomic sanctuary that shares its intimate and attractive spaces with the hotel. The rooftop terrace on the third floor, boasts incomparable views of the impressive San Francisco Church and Plaza. 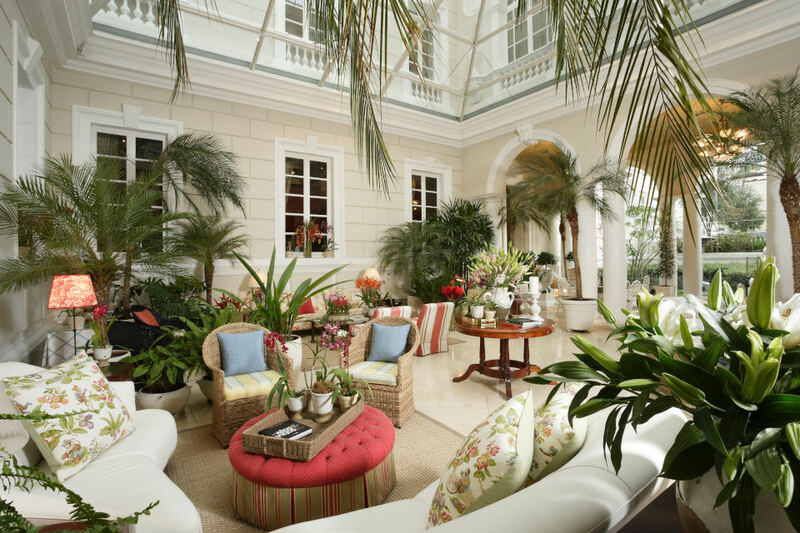 The inner patio, or loggia, is full of awe-inspiring orchids highlighting the rich flora of Ecuador. The glass ceiling in this space allows guests to keep tabs on the sun, clouds, and stars that fill the sky throughout different moments of the day. Where the inner patio is light and sunny, the bar – adjacent to the main dining room, with inlaid wood floors – is sophisticated, intriguing, and cozy. Mellow lighting makes this the spot for enjoying an intimate conversation and a signature cocktail. For special events, family gatherings and such, the Crimson Room is a perfect space in which to gather. Inlaid floors, wooden trim, a marble chimney, and warm scarlet walls all grace the Crimson Room with tons of character. The high ceilings here are similar to the beautiful high ceilings and trim that grace the main dining room. This classic dining room is both elegant and light, enhancing the culinary experience and going well above and beyond the ordinary. The restaurant offers patrons a variety of daily specials. Whether they be discounts for folks celebrating a birthday, or specials on Monday (a good day to pamper yourself), each day at the restaurant offers something unique. 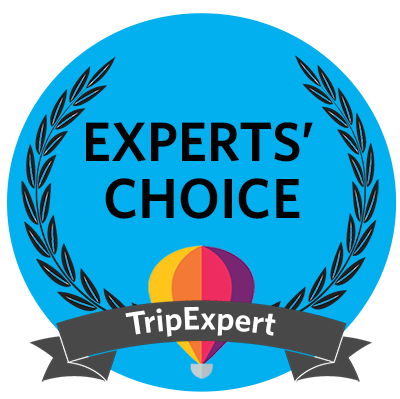 This makes Casa Gangotena’s Restaurant a destination for those who want to get the most bang for their buck in a plush setting with the best service. So, consider yourself invited to sample the experience for yourself! Just as the hotel combines different styles of architecture harkening back to Ecuador’s rich past, Casa Gangotena’s Restaurant celebrates either a holiday- or regionally-inspired dish each month. In particular, these are dishes focused around a national holiday or festive tradition. Innovating and updating this classic fare requires a delicate and savvy touch. The restaurant’s gastronomic offerings traverse several centuries in terms of traditional inspiration. The result is both a monthly special, presented by the chef, that feels new and fresh, and a menu that continuously offers something creative and exciting. 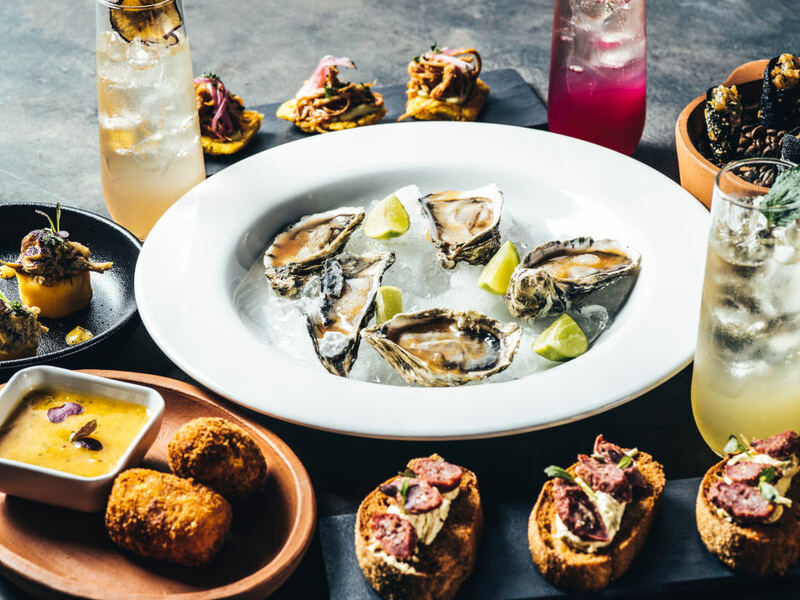 The concept behind the menu at Casa Gangotena is what is referred to as cocina mestiza (or mestizo cuisine when translated directly into English). It is a culinary tribute to the mix of cultures that comprise Ecuador. Dishes offered on the menu rescue the syncretism between local indigenous traditions and European influences. One example of this are how typical Andean ingredients have been adopted and reinvented. At Casa Gangotena, the guinea pig (or cuy), a common source of protein in the Andes, is served glazed, with mashua (a native root vegetable), and a parsley aioli sauce. 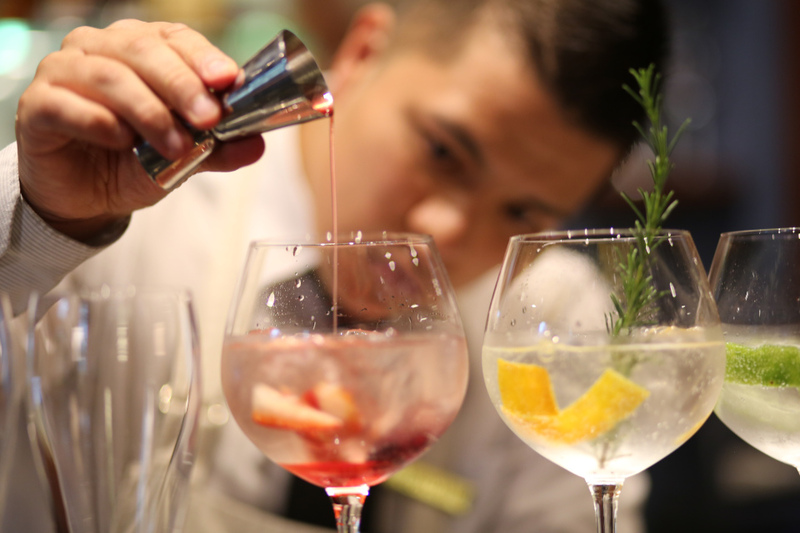 For centuries, flavors have been honed and created at San Francisco Plaza. The aromas that still emanate from different spots around the plaza (including Casa Gangotena) offer evidence of its history, which is still very much alive. Mestizo cuisine borrows from this exuberant setting and offers an experience with each dish. At the heart of Quito, this neighborhood has seen it all – as a both marketplace and a stately plaza. And what’s more? 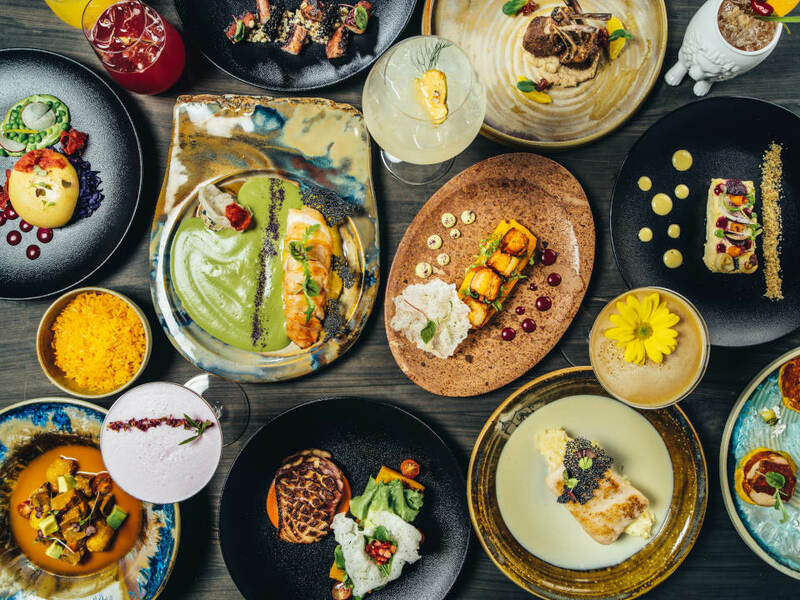 The menu at Casa Gangotena, featuring mestizo cuisine, is the perfect tribute to all of this richness. previousHow does Casa Gangotena celebrate Holy Week in Quito? nextWhere can you find the best fanesca in Quito? What can you do at Casa Gangotena’s rooftop terrace? How long should I stay at Casa Gangotena for? Where can you find the best fanesca in Quito? How does Casa Gangotena celebrate Holy Week in Quito? Step into the elegance and luxury of a bygone era at Casa Gangotena Boutique Hotel, located in the soul of Quito’s Old Town, a place for you to unwind, discover, and to dream.